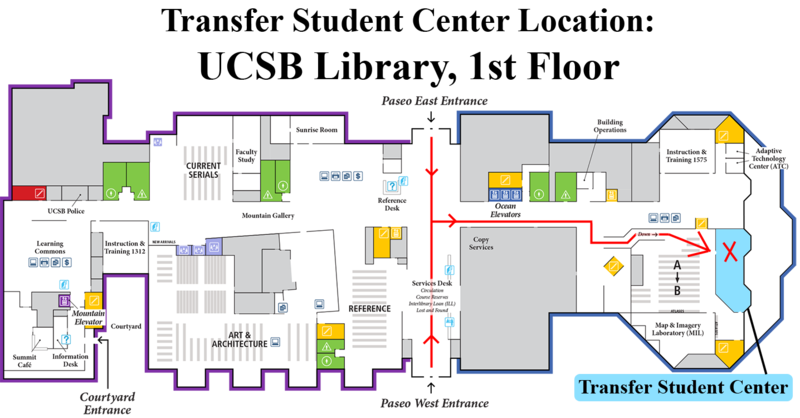 The Transfer Student Center offers specialized programs, workshops, and events to provide UCSB transfer students with academic, social, and emotional support. Events can be one-time workshops, special series, or quarter/year-long programs. Please pay close attention to events that require an RSVP. 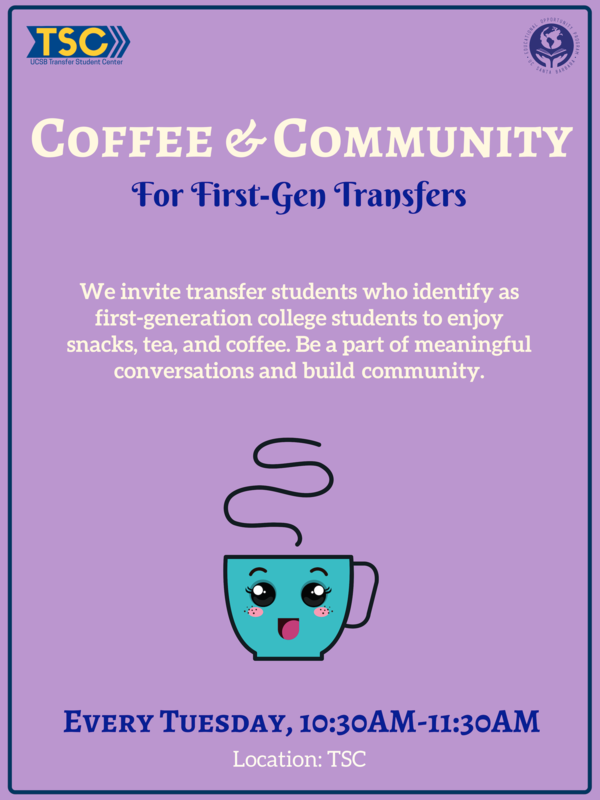 The Transfer Student Center has partnered with the Educational Opportunity Program to offer a weekly space for first-generation transfer students. Come by every Tuesday morning from 10:30am-11:30am for coffee, tea, snacks, and community! These are informal gatherings, so drop in at any time. In collaboration with the Educational Opportunity Program, the Transfer Student Center offers transfer students the opportunity to dine with a professor in their department three times over the course of the academic quarter. This program was designed to help our transfer students start building their academic networks at UCSB and dive into scholarly conversations about their chosen discipline. 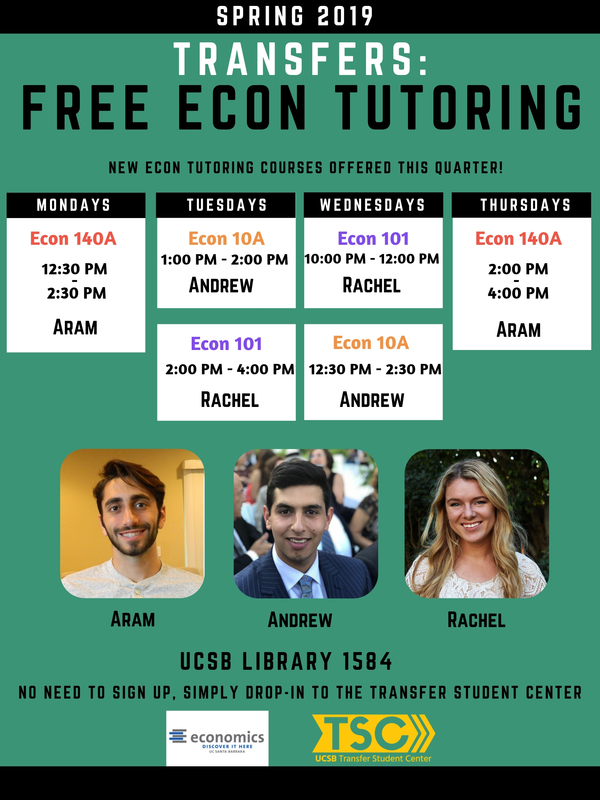 In collaboration with the Department of Economics, the Transfer Student Center offers transfer students the opportunity to drop-in for Econ tutoring with an Economics peer tutor. Hours are held in the TSC Conference Room (UCSB Library 1582B). For the most updated information, check the calendar on our homepage. We welcome All students with international background or interests. Meet and connect with other students on variety of topics! 1/8 – Welcome Back Celebration and What’s MLK? Enjoy the sunset with your Transfer Student Community! See flier for spring dates. Friends and Family Welcome! Use your phone to scan the QR code for more information.